Here's your chance to grab the latest and stunning wedding dresses for groom. 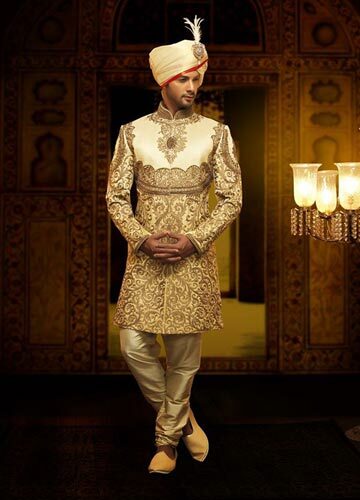 Men Wedding Wear brings you the attire of your choice at discounted and affordable prices. Drop by our store in Central Market in Lajpat Nagar II to claim exclusive discount offers awaiting you. Call us at +91 9810 024 178 to get a free designer advice or visit our website at http://www.menweddingwear.com/ to check our collection of all the latest wedding attire for men. WE ARE DOING WEDDING DECORATIONS ON THEME AND THEME PARTIES. Studio prerna - engagement and wedding customized gift packaging!